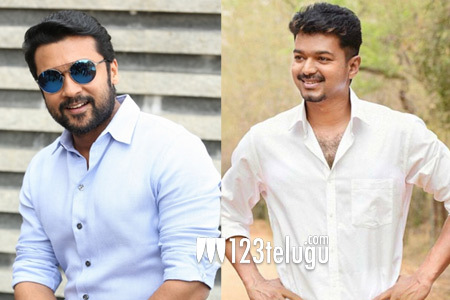 Tamil stars Suriya and Vijay are all set for an epic clash during the Diwali festive season later this year. Vijay and Suriya’s highly-anticipated Thalapathy62 and NGK respectively are confirmed to hit screens for Diwali. Fans of both of star heroes are anxious and jubilant at the same time and are eagerly awaiting the arrival of their favorite stars’ movies. Stakes are quite high on both Thalapathy62 and NGK. While AR Murugadoss is helming Thalapathy62, AR Rahman is scoring the music. On the other hand, Selvaraghavan is directing NGK. While Keerthy Suresh is the leading lady in Thalapathy62, Sai Pallavi and Rakul Preet are romancing Suriya in NGK.